You keep getting all my dates wrong!!! This app is unreliable! Clue is a good app and helpful. 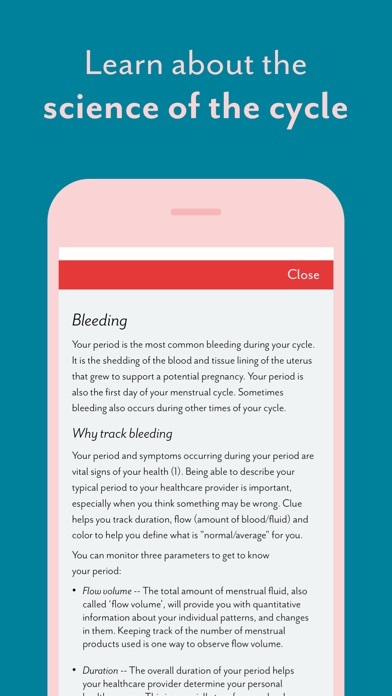 It’s explain many things about period, clean with information, rich in details and let you know important things about your period. I really recomend. I’m terrible at keeping track but this app makes it so easy!! If only everything in life could be like this. I love the minimalist design so that I can use it comfortably in public. The estimate tool is super accurate No complaints and I’ve been using it for 2 years. This is the best app that I’ve tried yet! I had been looking for a bit after I got my first period but all the apps had a huge lag or cost money. But then I came across clue, recommend by a friend, and decided to try it out. I’ve had amazing luck with this app and so far it has been just about spot on with my cycle (1-2 days, give or take). I also love this app because though you CAN pay money, you don’t have to. There are plenty of features to use without paying. 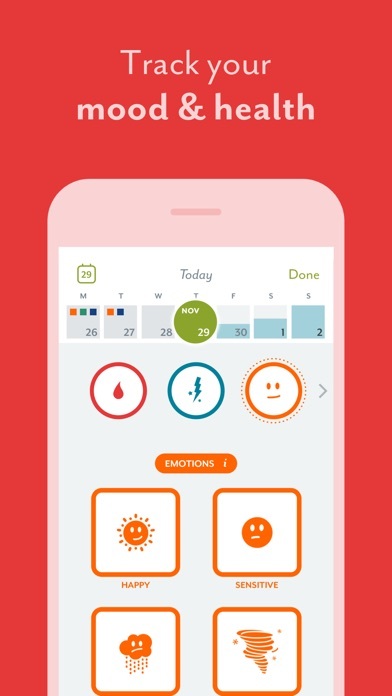 These non paying features include - tracking - period calendar - period reminder And even the science behind your cycle! 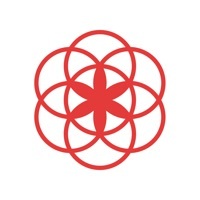 Overall I love this app and recommend it to anyone who has been looking for a simple, but yet officiant, period tracking app. I was drawn to this app over other period tracking apps because of its minimalist design, but I’m so glad I chose it. It has a wide variety of tracking options that really help you analyze your cycle. 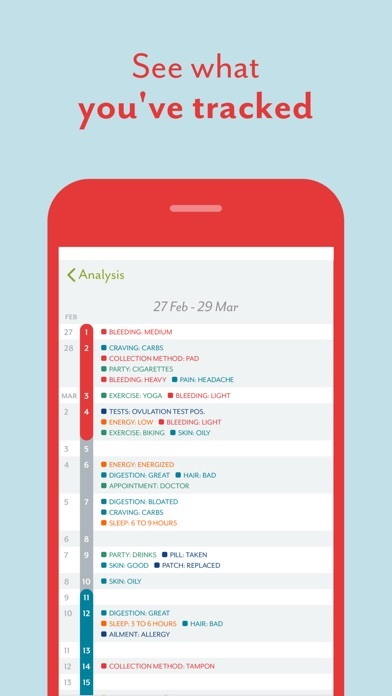 Using clue helped me visualize the trends I had every month, and actually helped me realize that some of my symptoms were abnormal. I was able to use clue to help get a diagnosis and treatment, which has helped me so much. Overall, I’d highly recommend downloading this to anyone curious to know more about themselves and their period. 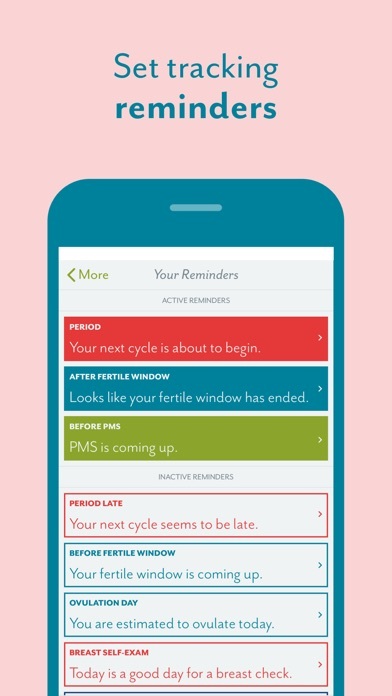 Clue is such a helpful way to track my period! It literally gives me a clue! Been tracking my period for 4 years now. It always gets the period predictions on point. It helps me in planning trips and events around my days. Very accurate & helpful, especially with ovulation times. I love this app. I’m 13 yrs old and I’ve been tracking my period since I was 11 and it still isn’t accurate. It is however getting closer to the date of my period. I do not recommend this app to people my age. 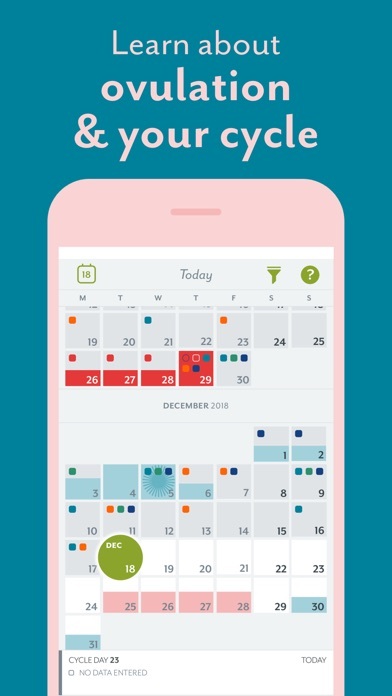 My OBGYN suggested I started tracking my period and PMS symptoms, which I’ve always thought was crap since I have such abnormal periods but some how, some way, after about 3 months of tracking, this app is always on time. 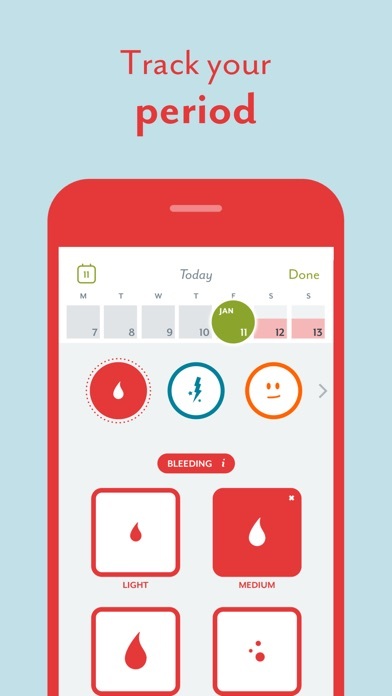 You can track your birth control, discharge, sexual activity, skin, hair, cramps, cravings and more. It’s honestly so much easier getting notified and reminded when things are gonna get going. Highly recommend this app. 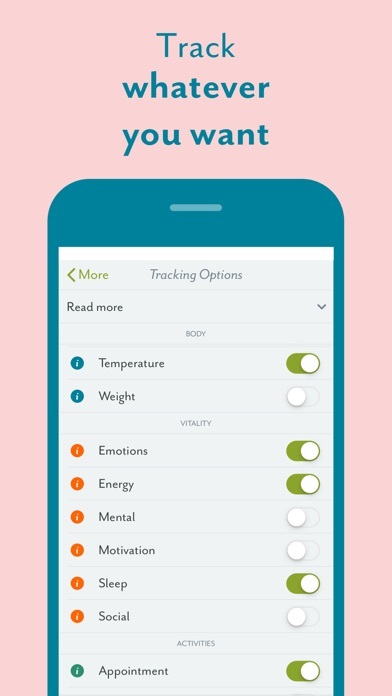 The interface is extremely easy to use and can be adapted to fit whatever it is that you’re looking to track [be it fertility, vaginal secretions, stress levels, or sleep/social patterns because, all of this can effect your body’s natural cycle]. Clue helps a girl out and keeps me on track. One suggestion that could improve the app would be if it could send reminders when it’s time to take your pill. That is all, great app! I love this app, it’s easy to use and gets really accurate after a few months. Started using the clue app years ago and it has been a steady and consistent way to track my period. It is always correct and tells me exactly when I will be getting my friend! I trust this app fully and recommend it for every girl as you will never be surprised about when you are getting your period again! 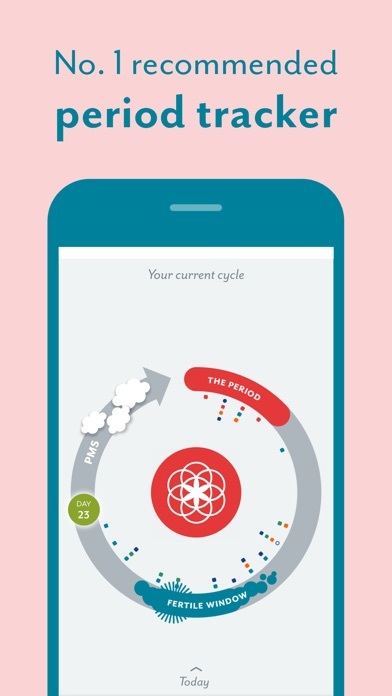 I’ve been using this app for years and it’s an easy no-fuss way of tracking my cycle. It adapts its predictions as you update, factoring in weird irregularities. There are also ways to track mood, pain, sleep, and more for those of you who want to go all out. It's really amazing. 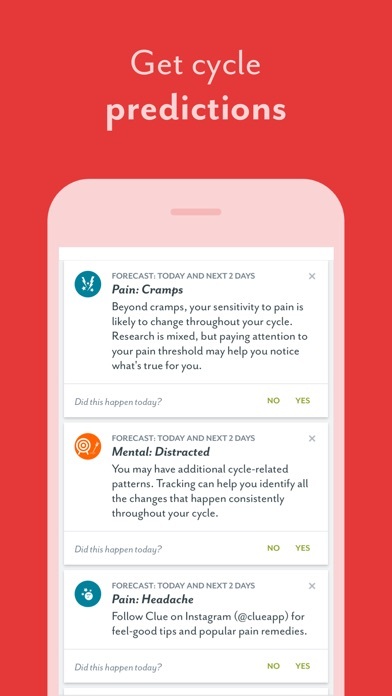 I've never had constant periods, but this app has helped me out on when it will happen. It also gives facts about everything, so I give it five stars. This app is great. It is very useful. It’s predictions for when your next period is, is sometimes off. 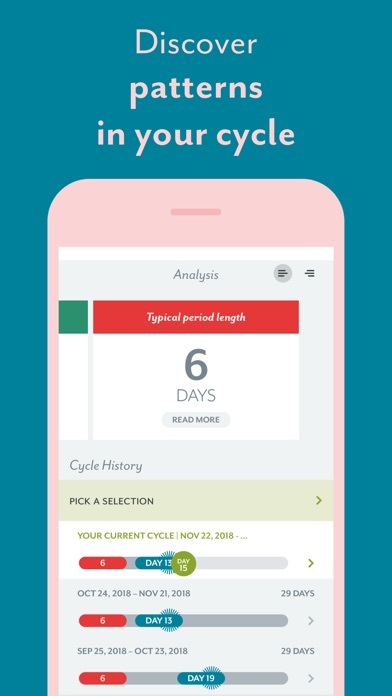 But if you are a girl/ woman who has difficulty tracking your period yourself than I would definitely invest in this app. I love getting a heads up that my period is about to start. I have been using this app for over 3 years. And I enjoy it. You can monitor everything and write notes etc. I am glad they do updates often. I highly recommend it.